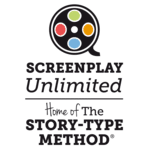 Screenplay Unlimited Ltd, a limited company based in Great Britain, owns and/or operates the web pages available at www.screenplayunlimited.com, www.thestorytypemethod.com, www.thestructurator.com, www.screenwritingunchained.com and all sub-domains thereof (collectively, the “Site”). Access to and use of the software (“Software”) and services (“Services”) available on or through the Site (including, without limitation, The Structurator, as well as any future Software or Services provided by Screenplay Unlimited limited are governed by this Terms of Service and License Agreement (this “Agreement”). This Agreement is between you, the individual free or paying subscriber, and Screenplay Unlimited Ltd. In consideration for your agreement to this Agreement and your payment of all applicable Fees (as defined below, when applicable), Screenplay Unlimited Ltd grants you a personal, limited, non-exclusive, non-sublicensable, non-transferable, revocable license to access and make use of the Site, the Services and the Software, subject to the terms and conditions set forth in this Agreement. You may access and use the Site, Services and Software solely for your own personal purposes and only in accordance with any instruction manuals, user guides and other documentation as made available by Screenplay Unlimited Ltd from time to time (“Documentation”). Screenplay Unlimited Ltd may offer certain Software, including certain interfaces, for download from the Site (“Ancillary Software”). Subject to the other terms and conditions of this Agreement, you may install and use Ancillary Software on computers owned, leased or otherwise controlled by you, solely for your personal use in conjunction with your authorized use of the Services. Upon expiration or termination of this Agreement for any reason, you shall cease any further use of the Ancillary Software and shall promptly destroy all copies thereof in your possession. By completing the registration process for any given Services, you are agreeing to subscribe to the selected Services, subject to the terms and conditions of this Agreement. You agree to provide Screenplay Unlimited Ltd with accurate and complete registration information, and to promptly notify Screenplay Unlimited Ltd in the event of any changes to any such information. You shall be solely responsible for the security and proper use of all user IDs, passwords or other security devices used in connection with the Site and/or the Services, and shall take all reasonable steps to ensure that they are kept confidential and secure, are used properly and are not disclosed to or used by any other person or entity. You shall immediately inform Screenplay Unlimited Ltd if there is any reason to believe that a user ID, password or any other security device issued by Screenplay Unlimited Ltd has or is likely to become known to someone not authorized to use it, or is being or is likely to be used in an unauthorized way. Screenplay Unlimited Ltd reserves the right (at its sole discretion) to request that you change your password(s) in connection with the Services, and you shall promptly comply with any such request. You are solely responsible for all activity in connection with access to the Site and/or Services through your account or using your password, and for the security of your computer systems, and in no event shall Screenplay Unlimited Ltd be liable for any loss or damages relating to such activity. If you have registered to use certain Services and/or Software on a trial or free basis, then you may use such Services and Software only for noncommercial evaluation purposes during the applicable trial or free period. In all other cases, your access to or use of the Services and/or Software shall be contingent upon your payment of all applicable fees as described on the Site from time to time (“Fees”). Enterprise Subscribers shall pay the fees set forth in the invoice(s) rendered by Screenplay Unlimited Ltd in accordance with the payment terms set forth therein. Upon registering for pay for Services, you will be required to designate a valid credit card or PayPal™ account. You hereby authorize Screenplay Unlimited Ltd to charge to your designated account all Fees relating to the Services you select, and you agree to pay all such Fees in accordance with the applicable card member agreement or PayPal™ terms and conditions. Screenplay Unlimited Ltd reserves the right to revise its Fees, including by increasing or adding new Fees, at any time on ten (10) days’ notice. Such notice may be sent to you by email to your most recently provided email address or posted on the Site or by any other manner chosen by Screenplay Unlimited Ltd in its commercially reasonable discretion. You will be deemed to have received any such notice that is posted on the Site on the day it was posted. Your use of the Services after the ten (10) day notice period constitutes your acceptance of the new or revised Fees. If you do not agree to the revised Fees, you may cancel your subscription by following the “View cancellation instructions” link below. A free subscription or service will remain free for as long as the service is offered for free on the website. However Screenplay Unlimited Ltd reserves the right to make a free subscription or service pay-for at any time, without any notice. No payment will ever be taken without your prior approval. If you do not provide payment details at the time of subscription, this means that you do not agree to any payment being taken at a later stage, so no such payment can be asked. If you do provide your payment details, for example for a free trial (see below), this means that you agree to future payments after the trial period, as indicated in the service or subscription you are trying. To ensure uninterrupted service, all subscriptions to the Site, Software and Services are renewed automatically. You hereby authorize Screenplay Unlimited Ltd to charge subscription Fees for the renewal period to the credit card or PayPal™ account on file. All subscriptions are renewed at the subscription level(s) in effect at the time the then-current subscription term ends. You may cancel the subscription at any time by following the “View cancellation instructions” link below. Screenplay Unlimited Ltd may offer a free trial membership from time to time with regard to certain Software or Services (a “Trial”). By accessing or using the Site, Services or Software, you agree to the terms of any such Trial and further agree to any changes Screenplay Unlimited Ltd may make to such Trial as described in “Changes to Services or Terms” below. If you cancel the Services before the end of the trial period, all your rights to any remaining free trial period will be waived. This Agreement shall continue until you cancel your subscription or until terminated by Screenplay Unlimited Ltd. You may cancel your subscription at any time. If you cancel after your subscription renewal date, you will not receive a refund for any amounts that have been charged. Your cancellation will be effective at the end of your then-current subscription period, subject to applicable law, and you may use the Services until your cancellation is effective (unless your access is suspended or terminated as set forth below). Upon termination of your account(s), your right to use the Services and Software and to access the Site and any of its content will immediately cease. All provisions of this Agreement that by their nature should survive termination shall survive termination, including, without limitation, ownership provisions, warranty disclaimers, indemnity, limitations of liability and miscellaneous provisions. Except as may be expressly set forth herein, all Fees paid or accrued in connection with any Services are non-refundable, and Screenplay Unlimited Ltd will not prorate any Fees paid for a subscription that is terminated before the end of its term. Your subscription includes a 7-day money back guarantee. If you are dissatisfied with your subscription for any reason, you can receive a full refund of the subscription fees you paid if you cancel your subscription within 7 days of activation. Please contact us and open a ticket to submit a refund request. This money back guarantee applies only to new users and does not apply to users that breach any term or condition of this Agreement. The Site, Software and Services may include products and services that are available via a mobile device, including (i) the ability to upload content to the Services via a mobile device, (ii) the ability to browse the Services and the Site from a mobile device, and (iii) the ability to access certain features through an application downloaded and installed on a mobile device (collectively, “Mobile Services”). To the extent you access the Service through a mobile device, your wireless service carrier’s standard charges, data rates and other fees may apply. In addition, downloading, installing or using certain Mobile Services may be prohibited or restricted by your carrier, and not all Mobile Services may work with all carriers or devices. By using the Mobile Services, you agree that Screenplay Unlimited Ltd may communicate with you regarding Screenplay Unlimited Ltd and other entities by electronic means to your mobile device and that certain information about your usage of the Mobile Services may be communicated to us. In the event you change or deactivate your mobile telephone number, you agree to promptly update your account information to ensure that your messages are not sent to the person that acquires your mobile telephone number. Screenplay Unlimited Ltd reserves the right at any time to (i) change any information, specifications, features or functions of the Site, Services or Software, including any Trial, (ii) suspend or discontinue, temporarily or permanently, any or all of the Services or any Trial, including the availability of any feature, database or content, or (iii) impose limits on certain features and Services or restrict access to parts or all of the Services, including any Trial, in each case with or without prior notice and without any liability to you or any third party. Screenplay Unlimited Ltd will use its commercially reasonable efforts to notify you of changes to the Services and/or Software that, in Screenplay Unlimited Ltd’s reasonable opinion, have the effect of materially and adversely diminishing the functionality of the Services to which you have subscribed. Screenplay Unlimited Ltd may from time to time update or revise this Agreement. If Screenplay Unlimited Ltd updates or revises this Agreement, Screenplay Unlimited Ltd will notify you either by email to your most recently provided email address, by posting the updated or revised Terms of Service and End User License Agreement on the Site or by any other manner chosen by Screenplay Unlimited Ltd in its commercially reasonable discretion. Your use of the Site, Services or Software following any such update or revision constitutes your agreement to be bound by and comply with this Agreement as updated or revised. You can view the most current Terms of Service and End User License Agreement at www.screenplayunlimited.com/terms-of-service. It is your responsibility to review the Terms of Service and End User License Agreement periodically. If you cancel a pay-for subscription within ten (10) days following such notice by Screenplay Unlimited Ltd in accordance with the two preceding paragraphs, then Screenplay Unlimited Ltd will refund you a pro-rated portion of any pre-paid Fees for the affected Services applicable to the cancelled portion of the pre-paid subscription term, if any. Any links on the Site to third party websites are provided for your convenience only. If you choose to access third party websites or obtain products or services from third parties, you do so entirely at your own risk and such access is between you and such third party. Screenplay Unlimited Ltd does not warrant or make any representation regarding the legality, accuracy or authenticity of content presented by such websites or any products or services offered by third parties and shall have no liability for any loss or damages arising from the access or use of such websites, products or services. Your registration to use the Site and/or Services constitutes your consent to receive email communications from Screenplay Unlimited Ltd, including messages regarding customer service issues and other matters. You may opt not to receive email correspondence, other than technical notifications and email regarding issues related to your account and your use of the Site and Services, at any time by following the link included in the email messages. In addition, Screenplay Unlimited Ltd may engage third parties to conduct risk control and fraud detection/prevention activities. As part of such engagements, if you initiate a transaction on the Site or through the Services, Screenplay Unlimited Ltd may give such third parties access to your pertinent credit card and other personal information. Such third parties may only use such personal information for purposes of performing risk control and fraud detection/prevention activities for us. However, they may also convert such personal information into hashed or encoded representations of such information to be used for statistical and/or fraud prevention purposes. By initiating any such transaction, you hereby consent to the foregoing disclosure and use of your information. All intellectual property rights in and to the Software, Site and Services and other Screenplay Unlimited Ltd IP are and shall remain the sole property of Screenplay Unlimited Ltd and its affiliates and licensors, as applicable, and you shall acquire no right of ownership or use with respect to any Software or other Screenplay Unlimited Ltd IP except as specified in this Agreement. You may from time to time provide Screenplay Unlimited Ltd with suggestions, comments, recommendations and/or feedback regarding the Services, the Software and/or Screenplay Unlimited Ltd’s related technologies (“Feedback”). Any and all Feedback is and shall be given entirely voluntarily. As between the you, Screenplay Unlimited Ltd and, if applicable, the Enterprise Subscriber, all Feedback shall be exclusively owned by Screenplay Unlimited Ltd, and you hereby make all assignments necessary to accomplish the foregoing ownership, and as a result Screenplay Unlimited Ltd shall be freely entitled to reproduce, prepare derivative works, disclose to third parties, display and perform (publicly or otherwise), sell, lease, license, distribute and otherwise use and exploit any and all such Feedback as it deems appropriate, at its sole discretion, without obligation or liability of any kind to you, the Enterprise Subscriber or any other person or entity. You shall indemnify, release and hold harmless Screenplay Unlimited Ltd and its parents, subsidiaries and affiliates, and each of their respective officers, directors, employees and agents, from and against any loss, liability (including settlements, judgments, fines and penalties) and costs (including reasonable attorney fees, court costs and other litigation expenses) relating to any claim or demand made by any third party due to or arising out of your access to the Site, use of the Services or Software, violation of this Agreement, or infringement of any intellectual property or other right of any person or entity. If you are a California resident, you waive California Civil Code Section 1542, which says: “A general release does not extend to claims which the creditor does not know or suspect to exist in his favor at the time of executing the release, which if known by him must have materially affected his settlement with the debtor.” If you are a resident of another jurisdiction, you waive any comparable statute or doctrine. TO THE MAXIMUM EXTENT PERMITTED BY APPLICABLE LAW, SCREENPLAY UNLIMITED LTD EXPRESSLY DISCLAIMS ANY AND ALL WARRANTIES AND CONDITIONS, EXPRESS OR IMPLIED, REGARDING THE SITE, SERVICES AND SOFTWARE, INCLUDING, BUT NOT LIMITED TO, ANY IMPLIED WARRANTIES OR CONDITIONS OF MERCHANTABILITY, MERCHANTABLE QUALITY, FITNESS FOR A PARTICULAR PURPOSE OR NONINFRINGEMENT. YOU AGREE THAT YOUR USE OF THE SITE, SERVICES AND SOFTWARE ARE AT YOUR OWN SOLE RISK AND THAT THE SITE, SERVICES AND ANY SOFTWARE ARE PROVIDED ON AN “AS IS” AND “WITH ALL FAULTS” BASIS, WITHOUT WARRANTIES OF ANY KIND, EITHER EXPRESS OR IMPLIED. WITHOUT LIMITING THE FOREGOING, SCREENPLAY UNLIMITED LTD DOES NOT WARRANT THAT THE OPERATION OF THE SITE, SERVICES AND/OR SOFTWARE WILL MEET YOUR REQUIREMENTS OR WILL BE UNINTERRUPTED OR ERROR-FREE. IN NO EVENT SHALL SCREENPLAY UNLIMITED LTD BE LIABLE WITH RESPECT TO THE SITE, SERVICES AND/ OR SOFTWARE FOR (I) ANY AMOUNT IN THE AGGREGATE IN EXCESS OF THE FEES YOU HAVE ACTUALLY PAID TO SCREENPLAY UNLIMITED LTD DURING THE TWELVE (12) MONTH PERIOD IMMEDIATELY PRECEDING THE EVENT(S) GIVING RISE TO SUCH LIABILITY; (II) ANY LOST PROFITS, LOST OR DAMAGED USER CONTENT OR OTHER DATA, OR FAILURE TO MEET ANY DUTY, INCLUDING WITHOUT LIMITATION GOOD FAITH AND REASONABLE CARE; OR (III) ANY INDIRECT, INCIDENTAL, PUNITIVE, SPECIAL, EXEMPLARY OR CONSEQUENTIAL DAMAGES OF ANY KIND WHATSOEVER. YOU AGREE THAT THIS LIMITATION OF LIABILITY REPRESENTS A REASONABLE ALLOCATION OF RISK AND IS A FUNDAMENTAL ELEMENT OF THE BASIS OF THE BARGAIN BETWEEN SCREENPLAY UNLIMITED LTD AND YOU. YOU UNDERSTAND THAT THE SITE, SERVICES AND SOFTWARE WOULD NOT BE PROVIDED WITHOUT SUCH LIMITATIONS. CERTAIN COUNTRIES OR STATES DO NOT ALLOW THE LIMITATION OF CERTAIN DAMAGES, SO SOME OR ALL OF THIS LIMITATION OF LIABILITY MAY NOT APPLY TO YOU AND YOU MAY HAVE ADDITIONAL RIGHTS. Screenplay Unlimited Ltd is always interested in resolving disputes amicably and efficiently, and most customer concerns can be resolved quickly and to the customer’s satisfaction by emailing customer support at support@screenplayunlimited.com. If such efforts prove unsuccessful, a party who intends to seek arbitration must first send to the other, by certified mail, a written Notice of Dispute (“Notice”). The Notice to Screenplay Unlimited Ltd should be sent to Screenplay Unlimited Ltd 10 Orange Street Haymarket London WC2 United Kingdom (“Notice Address”). The Notice must (i) describe the nature and basis of the claim or dispute and (ii) set forth the specific relief sought. If Screenplay Unlimited Ltd and you do not resolve the claim within sixty (60) calendar days after the Notice is received, you or Screenplay Unlimited Ltd may commence legal proceeding. This Agreement shall be governed by, and construed in accordance with, the laws of the United Kingdom, without regard to any choice of law, conflicts of law or other principles that would result in the applicable of the laws or regulations of any other jurisdiction. Any legal action or proceeding relating to this Agreement shall be instituted in a court of the United Kingdom. You and Screenplay Unlimited Ltd agree to submit to the jurisdiction of, and agree that venue is proper in, these courts in any such legal action or proceeding. This Agreement and the rights and obligations herein are personal to you, and you may not assign or otherwise transfer this Agreement or any of your rights or obligations hereunder, by operation of law or otherwise, without the prior written consent of Screenplay Unlimited Ltd may freely assign this Agreement. If Screenplay Unlimited Ltd is unable to perform any obligation under this Agreement because of any matter beyond its reasonable control, such as lightning, flood, exceptionally severe weather, fire, explosion, war, civil disorder, industrial disputes (whether or not involving employees of Screenplay Unlimited Ltd), acts of local or central government or other competent authorities, problems with telecommunications providers, hostile network attacks or other events beyond Screenplay Unlimited Ltd’s reasonable control (each, a “Force Majeure Event”), Screenplay Unlimited Ltd will have no liability to you for such failure to perform; provided, however, that Screenplay Unlimited Ltd shall resume performance promptly upon removal of the circumstances constituting the Force Majeure Event. If any Force Majeure Event continues for more than sixty (60) days, either Screenplay Unlimited Ltd or you may terminate this Agreement by delivery of written notice to the other party. You will remain responsible for all Fees incurred through the last day the Services were available. If you and Screenplay Unlimited Ltd have executed a separate Subscription Agreement applicable to your access to and use of the Site, Services and/or Software, then the terms and conditions of such Subscription Agreement shall prevail to the extent of any conflict with the terms and conditions of this Agreement. In all other cases, this Agreement constitutes the entire agreement between Screenplay Unlimited Ltd and you with respect to its subject matter, and supersedes all prior communications and proposals, whether electronic, oral or written, between Screenplay Unlimited Ltd and you. No waiver or modification of any of the provisions of this Agreement shall be binding unless in writing and signed by a duly authorized representative of each party.